Mission Operative asset management and O&M activities responsible. Ensure the optimal PV plant performances following the maintenance strategy defined by the AE Production Dpt. Compliance with safety standards and reach the targets set by AE Production Dpt. in terms of availability, production and costs. Maintain the assets in perfect conditions and extend its lifetime, ensure quality in operations, respect and care of the environment. 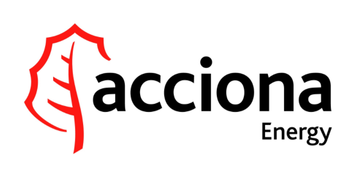 – Organization & supervision of maintenance activities following the ACCIONA standards. – Ensure that the activities are performed in compliance with the applicable regulatory framework, contracts and manufacturers requirements. – Able to analyze the plant performances and to suggest, develop and implement improvements procedures and services in accordance with AE Production department. – AE procedures monitoring, knowledge and communication to contractors, monitoring of maintenance plans, retrofits. – Manage the local OM technician teams. Plan the technician activities and monitor them. Replanning when appropriate. Understanding and explaining possible deviations. – Cooperate in preparing necessary docs for the optimal performance according to criteria established by AE including procedures, standards, instructions & updates. – Responsible for daily, weekly & monthly reporting requirements to AE Production and third parties. KPI reporting. – Responsible for HSE compliance in accordance with local law and AE policies and best practices. O&M and operative energy plants management. Knowledge of energy sector. 5 years of experience in O&M energy production plant.